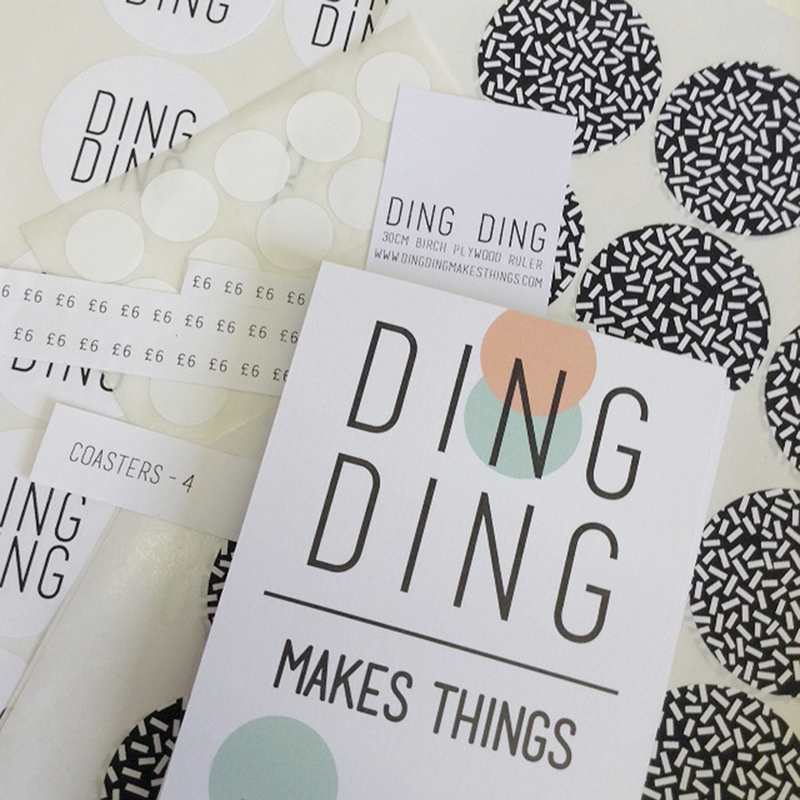 Jenna here aka Ding Ding, I make hand screen printed accessories, stationery and homewares all featuring graphic or geometric patterns. I'll be at the Leeds market at the Black Swan on Call Lane this Sunday (5 June 2016). It's my second Crafty Fox and I’m extremely excited not to have to drive to London as it's just a little jaunt up the M1 from Nottingham and I get to pass some of my favourite concrete road bridges on the way (total geek). I love to use markets as a way to improve what I'm doing, to look at new displays, products, marketing materials, branding and get direct customer feedback. It's often a good kick up the bum! So for this one I've added some branded stickers for packaging and designed some new plywood signs. Last year I built a few little pegboard boxes to give the stall some height, they are light to carry and fit inside each other. Plus I can hide all my fondant fancies wrappers in the back of them! I always try and plan out my stall before I go, especially if it's a smaller space and I make sure my price labels are clear because as a customer I hate having to ask a seller the price. I've been doing markets in one form or another for 10 years so I have a basic survival kit, it always includes scissors, pins, string, stickers, pens and a vast amount of cherry coke. It used to even include a radio; because so many organisers wouldn't think about playing music and there's nothing worse than customers walking into a quiet room. One of the great things about Crafty Fox markets is that you know there's going to be good music playing. I like simple kraft, recycled packaging so I just use brown paper to wrap up sales and finish them off with monochrome sprinkle stickers, I want to keep all my products gender neutral so I need packaging that works for everyone. I enclose a flyer with my Instagram handle because I love seeing people post photos of the days haul. I was running very low on stock for the market as I'd just got a couple of new stockists orders so there has been a lot of making to do! 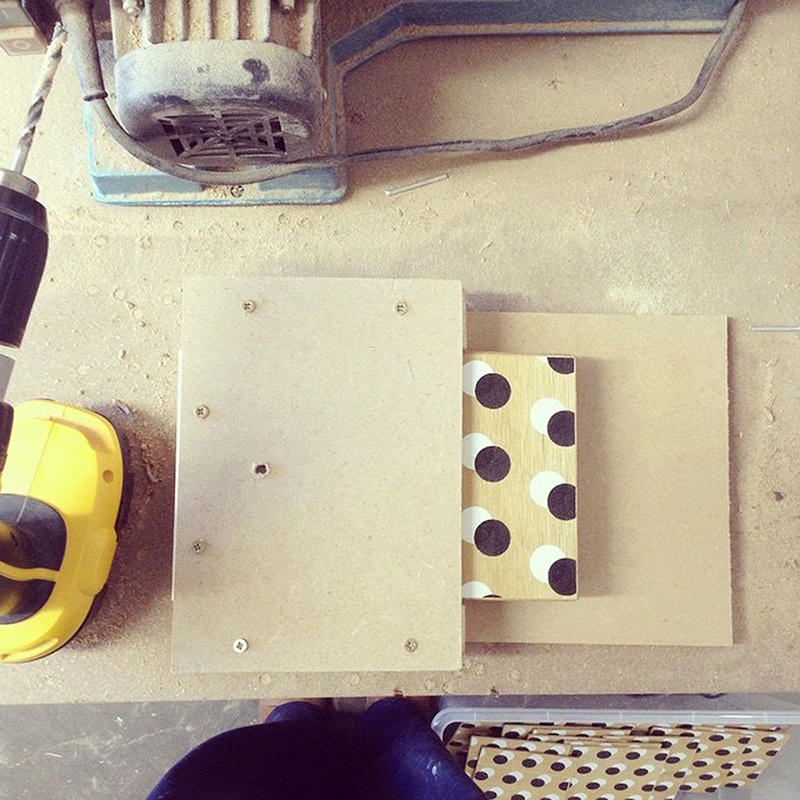 I've made a drilling jig and a varnishing cabinet to help with producing clipboards so I've got it down to a fine art. I've also been binging on Ru Paul's podcast 'What's the Tee’; once I turn that on next thing I know hours have gone by and there's a pile of finished pencil cases in front of me! Fellow Nottingham based printers POP PRESS will be at the market so I'm excited to hear all about the new shop they've opened and to generally have a good natter with some lovely customers and see what everyone's been buying. Can't wait! 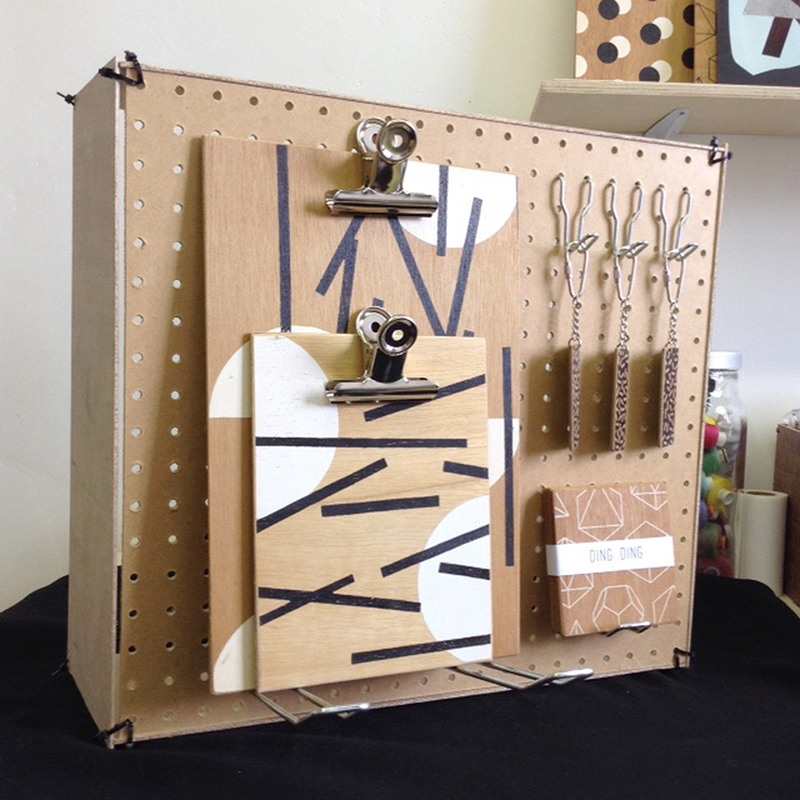 You can come and meet Jenna and shop her collection this weekend (4th & 5th June) at our Leeds Market. Black Swan, Call Lane, 11am to 5pm, free entry. 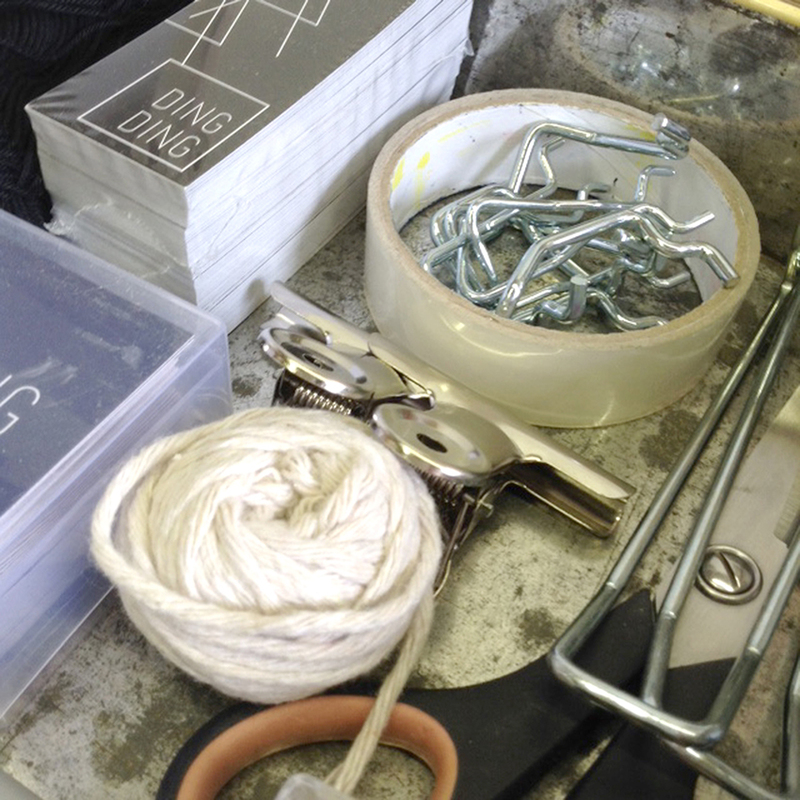 Jenna will return to the blog with a second part of her market diary very soon!